Made with love in the USA of Austrian Crystal, Semi-Precious Stones, 14-K Filled Gold, Gold Plate. Made with love of Swarvoski Crystals, Semi-Precious Stones, Natural Wood, and 14K Gold Filled. Made with love in the USA of Austrian Crystals, Austrian Pearls, Semi-Precious Stones, Mother of Pearl, Czech Glass, Sterling Silver, Silver Plate or 14K filled gold. Hand designed by Tammy. Made with love in the USA of Austrian Crystals, Austrian Pearls, Semi-Precious Stones, Mother of Pearl, Czech Glass, Sterling Silver, Silver Plate. Hand designed by Tammy. Made with love in the USA of Austrian Crystals, Austrian Pearls, Semi-Precious Stones, Mother of Pearl, Czech Glass, 14-K filled gold and gold plate. Hand designed by Tammy. Made with love in the USA of Austrian Crystals, Austrian Pearls, Semi-Precious Stones, Mother of Pearl, Czech Glass, Sterling Silver and silver plate. Hand designed by Tammy. Made with love in the USA of Austrian Crystals, Austrian Pearls, Semi-Precious Stones, Czech Glass, Sterling Silver an silver plate. Hand designed by Tammy. Made with love in the USA of Druzy, Agate, Jasper, Sky Quartz, Crystal Quartz, Turquoise, Jade, Mother of Pearl, Austrian Crystals, Austrian Pearls, Czech Glass, Sterling Silver or 14K filled gold. They are 7'' expandable. Hand designed by Tammy. Made with love in the USA of Austrian Crystals, Semi-precious Stones, Czech Glass, Sterling Silver Plate, or 14-K Filled Gold. Hand designed by Tammy. More Colors!! All letters available! Made with Love in USA of Austrian Crystals, Czech Glass, Sterling Silver and Brushed Silver. All Letters available in any color stones. Hand designed by Tammy. 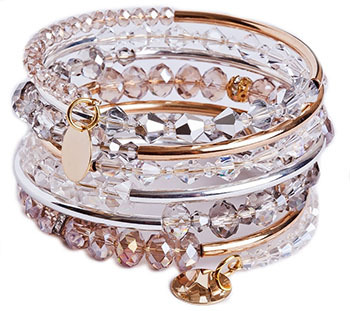 Made with love in the USA using Semi-Precious Stones,14-K Gold Filled and Brushed Gold. Hand designed by Tammy. Made with love in the USA of Druzy, Agate, Jasper, Sky Quartz, Crystal Quartz, Turquoise, Jade, Mother of Pearl, Austrian Crystals, Austrian Pearls, Czech Glass, Sterling Silver or 14-K filled gold. They are 7'' expandable. Hand designed by Tammy. Made with love in the USA using Turquoise, Sterling Silver and Silver plate. Made with love in the USA of Austrian Crystal, Semi-Precious Stones, Oxidized metals, 14-K Filled Gold, Sterling Silver and Plated Metal. Hand designed by Tammy. Made with love in the USA of Austrian Crystals, Semi-Precious Stones, Natural Wood, Czech Glass, 14-K Filled Gold, plated gold. Hand designed by Tammy. Made with love in the USA of Austrian Crystals, Austrian Pearls, Czech Glass, shell, 14-K filled gold, brushed gold, Sterling silver, and brushed silver. Hand designed by Tammy. Made with love in the USA of Austrian Crystals, Austrian Pearls, Semi-Precious Stones, Mother of Pearl, Czech Glass, Sterling Silver, Silver Plate and 14-K filled gold. Hand designed by Tammy. Made with love in the USA using Austrian Crystals, Austrian Pearls, Semi-Precious Stones, Ebony Wood, Czech Glass and Sterling Silver and Silver Plate. Hand designed by Tammy. Made with love in the USA of Austrian Crystals, Austrian Pearls, Semi-Precious Stones, Mother of Pearl, Czech Glass, Sterling Silver, or 14-K Filled Gold. Hand designed by Tammy. Made with love in the USA of Agate, Jasper, Sky Quartz, Crystal Quartz, Turquoise, Jade, Mother of Pearl, Austrian Crystals, Austrian Pearls, Czech Glass, Sterling Silver or 14-K filled gold. They are 7'' expandable. Hand designed by Tammy. Made with love in the USA of Austrian Crystals, Austrian Pearls, Semi-Precious Stones, Mother of Pearl, Czech Glass, Sterling Silver, Silver Plate or 14-K filled gold. Hand designed by Tammy. Made with love in the USA of Sterling Silver Plate or 14-K Gold Plate. Made with love in the USA of Austrian Crystals, Semi-precious Stones, Czech Glass and Sterling Silver Plate. Hand designed by Tammy. Copyright © 2013 Tammy Spice Jewelry. All Rights Reserved. Ecommerce Software by Volusion.